If Dogs Can Swim, So Can We! For many of us that have been through swimming lessons, we are all aware of the term “dog paddle”. Some of us are even guilty of committing it. So where did the term actually derive from? Well, as its name suggest, it came from dogs. These adorable animals perform the dog paddle whenever they are in the water. That is their so called way of swimming because of the way their bodies and paws are. Although some may think that dogs are actually have a hard time swimming, they are actually enjoying themselves. Just like humans, dogs are able to relax and have fun too while taking a swim. This is also the reason why some dog owners bring their dogs along for a swim at the beach. WuffVital dog hotel in Jarplund, northern Germany use this to their advantage by offering dog swimming apart from the usual day and night care for the animals. This helps to differentiate the hotel from their competitors. 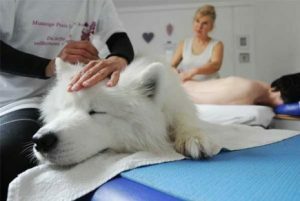 Such additional services may even entice dog owners to choose them over other hotels. However, why would the hotel choose swimming for the dogs over so many other available sports out there? There are many reason, but most of them revolve around the benefits of swimming. Just like us, humans, who enjoy the many advantages swimming has to offer, dogs also benefit from swimming in many ways. Who wouldn’t love taking a dip in the pool especially on a very hot day? These usually hyperactive animals will get a chance to relax and take things slow in the pool. At the end of the session, they will get a well deserved rest along with a pampered massage. For more information, you can check it out here. So if dogs are able to swim, it shouldn’t be much of a big deal for us humans. Furthermore, we have longer and stronger limbs as compared to them. All that is required from us is the willingness to learn and also the determination to succeed. However, it is also just as important to have a qualified instructor to guide you along the way. An instructor alone can determine the interest, progress and outcome of a student. This is why some students are able to progress faster and perform better as compared to others. At Happy Fish Swim School, we only offer certified instructors. We believe that every student deserves only the best and we want to do the best we can to ensure that. For more information, you can check us out from our website.